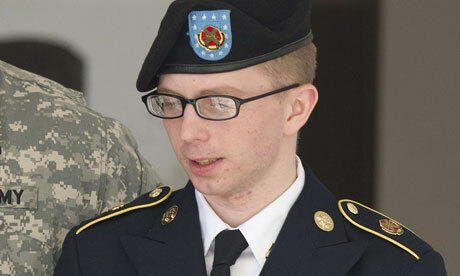 Bradley Manning, the solider accused of the biggest unauthorised disclosure of state secrets in US history, has admitted for the first time to being the source of the leak, telling a military court that he passed the information to a whistleblowing website because he believed the American people had a right to know the “true costs of war”. At a pre-trial hearing on a Maryland military base, Manning, 25, who faces spending the rest of his life in military custody, read out a 35-page statement in which he gave an impassioned account of his motives for transmitting classified documents and videos he had obtained while working as an intelligence analyst outside Baghdad. This is an update about Kevin “Rashid” Johnson, a prisoner activist and intellectual who is currently in a dire situation in Snake River Correctional Institution in Oregon. As was reported last week, Rashid has been in the midst of a health crisis for almost a month now, which has included periods of severe disorientation. For a time he was refusing to eat or drink; as far as our most recent information if concerned, he is currently accepting liquids but still not eating. Rashid has spent most of his adult life in prison, and almost all of that time has been spent in various isolation units. This is a direct consequence of his actively resisting abuse from prison guards and their lackeys in the 1990s, and to his continued political writing and exposing conditions in America’s carceral nightmare ever since. A New Afrikan Communist and the founder and Minister of Defense of the New Afrikan Black Panther Party Prison Chapter, Rashid is also a longtime mentor to several activists (and, through his writings, other prisoners) in Virginia, and in recent years has gained national attention as the result of the publication of his book Defying the Tomb, and the use of his artwork in numerous progressive publications. Most notably, Rashid is the artist who designed the drawing used as an emblem during the historic 2011 California prisoners’ hunger strikes, in which over 12,000 participated. Rashid is a Virginia State prisoner, yet in 2012 the situation at Red Onion State Prison (where he had been held in solitary for years) escalated, with certain guards singling him out for abuse. In one harrowing incident, he was beaten while in handcuffs, which left him with a dislocated shoulder several of his dreadlocks torn out from the roots (as reported here). This attack came shortly after he wrote an article exposing a pain-compliance technique used at Red Onion which involved twisting prisoners’ fingers back, leading in some cases to broken bones. Subsequent to this assault, he was transferred to Wallens Ridge prison where he was informed by guards that he “would not leave the prison walking” (as reported here). Del Monte’s management makes a fool of itself by feigning innocence on their apparent culpability when the New People’s Army launched a punitive action against them. All these years, they consider their decades-old exploitation and oppression of workers, peasants and Lumads, environmental plunder and destruction as perfectly laudable.What a surprise indeed! They are not a bit bothered by guilty conscience of the weight of the responsibility in permanently exposing to danger the lives and properties of the people living along the streams and rivers emptying into Macajalar Bay. Nothing concerns them more than amassing super-profits by exploiting the labor of their low paid workers. Fascist noose and a Hangman ‘Democracy’: Resist the Indian state’s judicially orchestrated elimination of political dissent! Someone’s eyes have just opened. The Indian state is right now in its worst ever killing spree. Putting people mercilessly in the gallows and killing them in cold blood! The secret hanging of Afzal Guru has once again brought to the fore the barbaric practice of death penalty which the Indian state continues with, even after a great majority of countries have abolished it. Death penalty gives the state complete impunity to kill and is the worst form of cold-blooded judicial murder. While 140 countries in the world have abolished death penalty, as per the records of the National Crimes Records Bureau (NCRB),in India according to the Ministry of Home Affairs, a total of 1,455 convicts or an average of 132.27 convicts per year were sentenced to death penalty during 2001 to 2011. Death penalty, which the Indian state claims that it applies only in the “rarest of rare” case, is in actuality a routine tool in the hand of the ruling classes to browbeat and intimidate the oppressed and struggling masses. It is estimated that the number of those executed after 1947 is over 4,300. Condemning his continued house arrest in New Delhi, the Dal Khalsa has urged the Government of India to release chairman of Hurriyat (G) Conference Syed Ali Shah Geelani immediately. In a statement party head H S Dhami termed the detention of Geelani Sahib ever since the hanging of Afzal Guru on Feb 9 as ‘illegal and unjust’. Taking a dig at Indian civil society and eminent human rights activists based in the capital for their stoic silence, he said the government has stooped too low to gag the voice of Kashmiri people. Urging the civil society to speak up against state’s highhandedness, he urged the officials of UNHRC, Amnesty International and Human Rights Watch to intervene and take stock of the ground situation vis-à-vis rights violations. 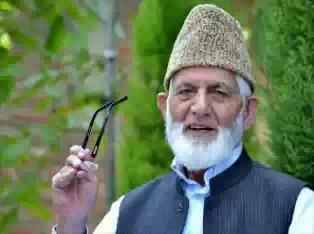 He said the government was highly mistaken that by detaining Geelani Sahib it could break his resolve for carrying forward the struggle for Kashmir’s self-determination. Accusing the Union Home Minister for his flip-flop position on “Saffron terror and RSS sponsored terrorism”, Mr Dhami urged Mr Sushil Kumar Shinde to restore the civil, political and human rights of Geelani Sahib immediately and allow him to be with his people and family members. Egypt’s National Association for change condemned on Wednesday the “outright intervention of the United States in Egypt’s internal affairs” which was expressed in the U.S. State Department call to the opposition to participate in the parliamentary elections. “It is crucial for all Egyptian parties to be involved,” said Vasquez, as reported by the American Network, Fox News. “The successive governments of the United States have supported Hosni Mubarak’s regime unconditionally, which sponsored corruption and tyranny. They continue to disgracefully support the Muslim Brotherhood’s repressive regime,” said the statement. The true scale of Britain’s involvement in the slave trade has been laid bare in documents revealing how the country’s wealthiest families received the modern equivalent of billions of pounds in compensation after slavery was abolished. As a result, there are now wealthy families all around the UK still indirectly enjoying the proceeds of slavery where it has been passed on to them. Dr Draper said: “There was a feeding frenzy around the compensation.” A John Austin, for instance, owned 415 slaves, and got compensation of £20,511, a sum worth nearly £17m today. And there were many who received far more. Academics from UCL, led by Dr Draper, spent three years drawing together 46,000 records of compensation given to British slave-owners into an internet database to be launched for public use on Wednesday. But he emphasised that the claims set to be unveiled were not just from rich families but included many “very ordinary men and women” and covered the entire spectrum of society.